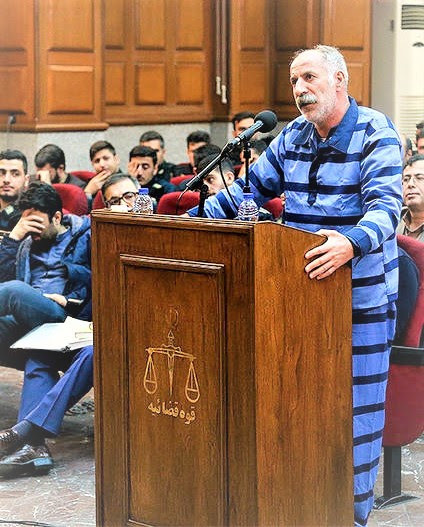 Mohammad Salas, a member of Iran’s persecuted Gonabadi darvish religious community, was arrested, indicted for murder, tried, and sentenced to death in a month's time on the basis of doubtful evidence. His lawyer reports that he has been tortured, forced to confess, and denied an effective defense. How can Iran's judiciary call this justice? On the evening of February 19, 2018, against the backdrop of ongoing countrywide protests, tensions rose as a massive number of anti-riot police entered the area of Golestan Haftom in Tehran to end a standoff with darvishes who had gathered days prior around the residence of their spiritual leader, Nur Ali Tabandeh, to protect him from potential arrest against a strong security presence. In the course of a harsh crackdown, scores of protesters were severely injured, and hundreds arrested . In unclear and chaotic circumstances, a bus struck special forces members, killing three. 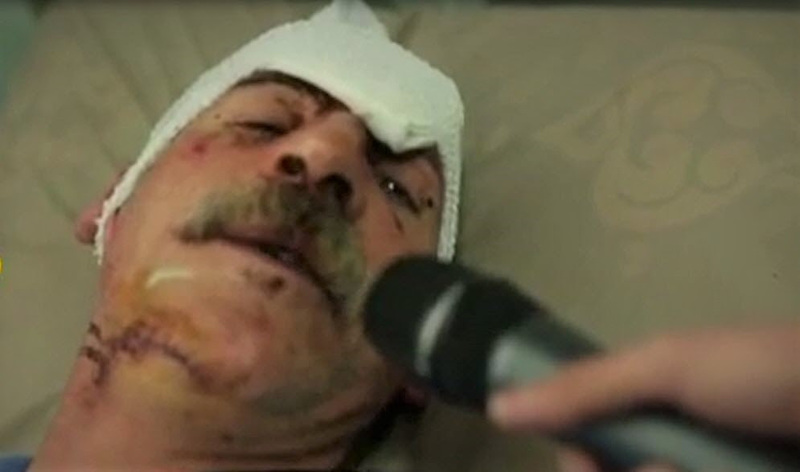 Mohammad Salas was among those arrested. He was charged for the collision within 48 hours. Four weeks after the incident, and one day after his final trial session, Branch 9 Criminal Court sentenced him to one year of imprisonment, 74 lashes, and death. The lawyer of his choosing was afforded less than a week to prepare his defense. The evidence entered against him comprised a televised confession of a badly beaten Mohammad Salas and video of the bus collision, which circulated on social media and in which the driver could not be identified. On April 25, 2018, Iran’s Supreme Court upheld his sentence. He is now at imminent risk of execution. Investigating judge Mohammad Shahriari had insisted, in the second trial session, that the collision was intentional and planned, and suggested that Salas' injuries were inflicted by the protesters themselves. He presented as proof of intent the fact that the bus was parked in the area for 15 days and was used by protesters as a gathering place and argued that Salas had removed the seats himself. He also adduced the fact that Salas was the only arrestee possessing a Grade 1 vehicle operator's license as a reason for his guilt. For Shahriari, the fact that Salas did not know those struck by the vehicle was also proof that the act was premeditated and not committed out of anger . For Salas defense lawyer, however, the investigation was incomplete. At the third trial session, lawyer Sa'id Ashrafzadeh called for further investigation before a verdict is issued and stated that questions remained about how the incident unfolded and whether anti-riot police had used force properly. He stressed that an expert opinion should be sought regarding Mohammad Salas' ability to control the vehicle due to his limited eyesight, the physical effects of his broken left hand, and his mental state. He asked the court to question other detainees who knew Salas to determine whether he had previously held thoughts and opinions, which would suggest criminal intent . However, the court, presided by judge Mohammadi Kashkuli, issued the verdict the next day, ignoring Ashrafzadeh's requests. Salas continues to be held in solitary confinement as prison authorities deny him access to medical treatment appropriate for such injury, Taheri says. The events of February 18, and Salas’ prosecution, are preceded by a long history of the clerical establishment’s persecution of Gonabadis dating back to the order’s advent in the 19th century . Gonabadis subscribe to a mystical, introspective interpretation of Shi'a Islam which emphasizes personal spiritual journey. They swear spiritual allegiance to their spiritual head, who they understand to be a conduit to the truth of the messianic Hidden Imam . Such religious competition has been regarded even more suspiciously by the religious establishment since 1979, when the novel principle of the Guardianship of the Jurist invested absolute political and spiritual authority in the Supreme Leader. Supreme Leader Ali Khamenei has cautioned the faithful against falling into the traps of “worldly spiders” who claim mystical truths and declared participation in darvish gatherings “impermissible" . Ruling cleric’s concerns are not limited to strictly theological matters; they have also declared a prohibition on helping darvishes in their public outreach work . A February 19, 2018 Telegram post from cleric Jalil Mohebi catalogues “social and political dangers” posed by the Gonabadis, including “rapid growth, a strong media presence, and infiltration of the state appartus.” He lists a number of private companies owned by the order, including a milk plant and a baked goods factory, and criticizes their practice of giving income to the leader rather than to the clerical establishment as being contrary to the Qor’an . Spiritual head Nur Ali Tabandeh who was active with the now banned pro-Mossadeq National Front in the early days of the revolution, is singled out for special criticism in a range of official media for his association with “a political group of ill repute” and characterized derogatorily as a “French-educated liberal” . When the National Front publicly opposed a measure introducing anachronistic “qesas” crimes into Iranian law in 1981 , Ayatollah Khomeini declared its members apostates . Such rhetoric has been accompanied by state action to undermine the darvishes' activities. 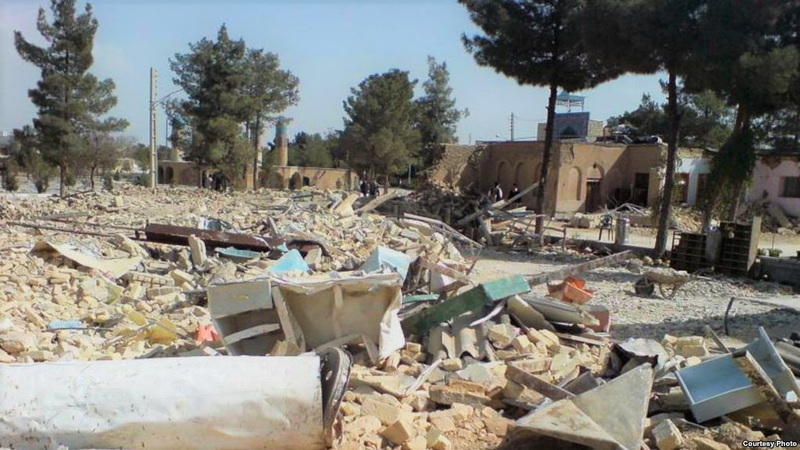 The years 2006-2009 saw the destruction and forced closing of multiple places of worship, the firing of darvish educators, prosecution of members, and the harassment and disbarment of lawyers who took on the cases of darvishes . In 2008/9, Defenders of Human Rights Center reported that darvishes were arrested and harassed at their places of worship . In July 2009, 24 darvishes were arrested for protesting outside the office of the Public Prosecutor in Gonabad. One of the defendants was subjected to 50 lashes and a half-year prison term in July 2012 . In 2016, five darvishes in Dezful were arrested and charged with offenses disturbing public order and insulting sanctities . The aforementioned due process failures are not limited to Salas’ case. Abdorrahman Boroumand Center has identified hundreds of cases of defendants of all walks of life and religious commitments who have been similarly arrested, tried, condemned, and put to death without minimum guarantees of due process. In a March report, the United Nations’ Special Rapporteur for Human Rights on Iran expressed alarm at “ the number of individuals who have been executed and by the number of death sentences handed down not least because of a consistently reported pattern of serious violations of the right to fair trial and denial of due process by the courts in the application of death sentences” . 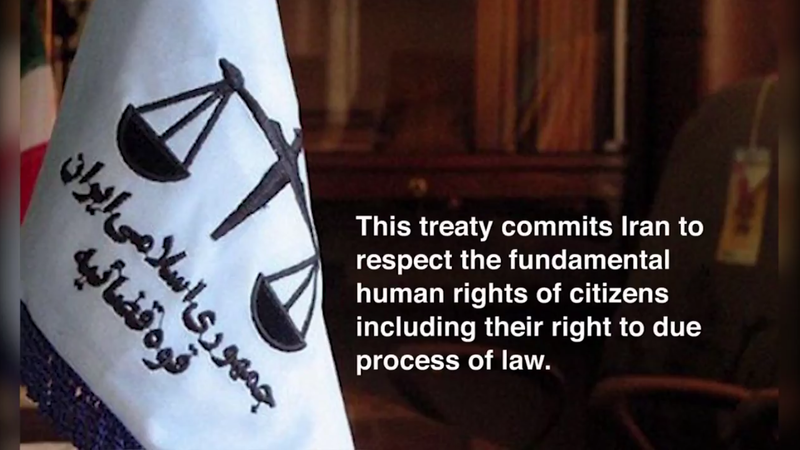 The Iranian parliament has ratified the International Covenant on Civil and Political Rights, which commits the country to respect basic guarantees of fair trial and due process. The same Covenant categorically forbids torture or cruel, inhuman or degrading treatment or punishment. Salas’ judicial process fails to respect standards provided for in Iranian law, as well. Article 38 of the Iranian Constitution and Article 60 of the Code of Criminal Procedure for Public and Revolutionary Courts prohibit torture and render confessions extracted under torture legally null. Article 169 of Iran’s Penal Code protects defendants from being compelled to testify against themselves. Article 5 and 6 of the Code provide for adequate time and facilities for preparation of defense and communication with counsel. At a time when the Islamic Republic's leadership faced widespread popular protests, a deadly incident took place. Mohammad Salas, a member of a persecuted religious group, has been accused of committing a crime. The evidence, based on his defense lawyers statements, was no legitimate basis for sentencing a defendant to death in a prosecution that lasted less than a month. Such prosecution is simply arbitrary and summary justice. 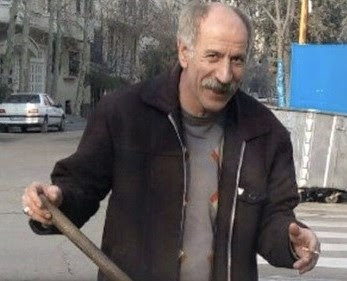 Mohammad Salas, his family, the families of those who died, and Iranian citizens deserve justice. But this prosecution is not justice; it is rather a tragic symptom of a judicial apparatus created to spread fear and protect the state rather than its citizens. By executing Salas, rather than granting him a fair and impartial retrial, Iran's judiciary will do nothing but demonstrate its contempt for citizens' lives.